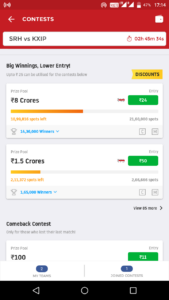 Dream11 referral codes for free cash. If you guys want to earn money and your luck is with you then Dream11 is the best application for you. 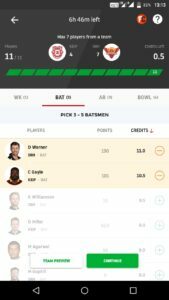 Dream11 is an online betting application on cricket and many other sports. This application is the most trending application for betting. If you are lucky enough then you can make a good amount of money. You have to choose players which will play in the game. 2. You can choose the players on both sides. 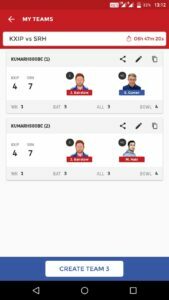 Download the application -: Click here Dream11 app. To earn some money you should have good knowledge of sports. 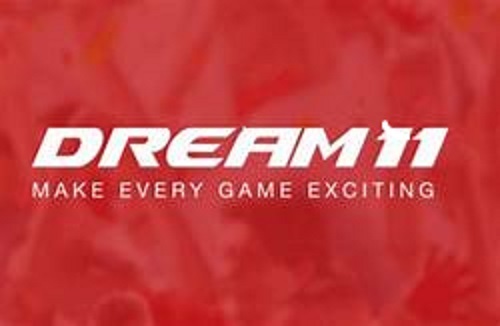 If you have good knowledge of sports and sports players then it will be easy for you to earn from the Dream11. Now I will tell you guys how this works and how to get started but firstly, use the free money which is you will get after entering the referral code we mentioned above and start winning without investing. 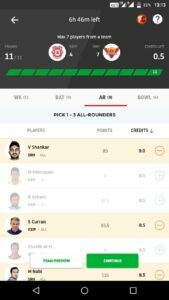 After using the Dream11 referral code, you will get Rs 100 and I will also get some share. After registering your account you can also earn by sharing your own referral code. 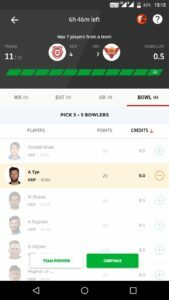 There are some steps to gets started in Dream11. 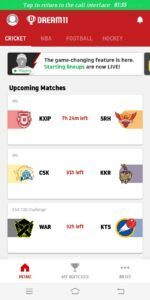 Select any upcoming match from any of the sports series. By using your sports knowledge choose the team players. In the team, there are four categories. Wicket-keeper, Batsman, Bowlers, All-rounder. You have 100 credit only and players are differ by the credits, good players are of more credits. Then you have to choose the player wisely. After creating the team, you have to choose the captain and vice-captain in your team. You will get the twice points for the captain and 1.5X for the vice-captain. 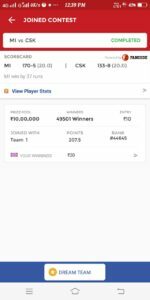 Join the match or cash contest to win the bet and show your earning skill. Withdraw your winning at the end of the contest. They require one-time verification to your account which is easy as the registration. Click here -: Point tables in game. Always start the game or join the contest after the toss of the match. Because after the toss both teams launch their players’ name which will play the match. See the previous points of the players then choose the right one. After all of that, you guys need to have a piece of good luck because the 1stprize is the bigger amount. That is also getting exciting when it comes close to the reward.